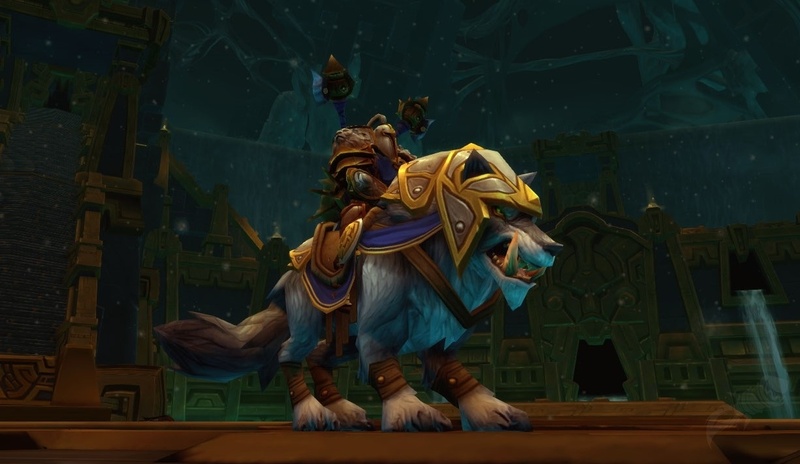 Elkagorasa the Casual: How much would you spend on a mount? How much would you spend on a mount? So, now a co-worker is thinking of playing warcraft. It came pre-installed on his new PC and he jokingly said he was going to create a toon. He's a FPS console guy, so who knows how long he'll last. That'd be cool! I told him, hey use my name and I'll get this cool flying mount?! (pointing at desktop background) He cringes, seeing himself as the brunette, to my manly alliance toon. "Hey, let me show you what this button does!" OK, outside of bribing a friend to sign-up, how else could one casual warlock get ahold of one of these fine rockets? Well, my 8yo daughter or wife could use an account!! (yeah, riiiight). I could sign them up for 2 months minimum purchase, level myself a goblin when cataclysm comes out at 3x rate xp and be level 85 in no time at all. Cost? $30 US Dollars. Is it worth it? Maybe. I like the rocket heckuva a lot more than the zevra. Will I actually do it? Probably not, but hmm, I did buy one pretty pony and I'd love to get my bank toon high enough to ride at least a land mount. (it's a long run to the inscriptionist trainer from the bank).